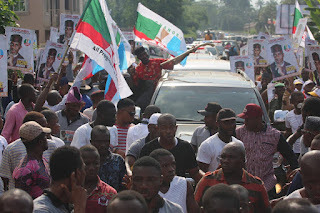 The APC gubernatorial aspirant and chief of staff to Imo state government, Ugwumba Uche Nwosu, has received the endorsements, support and acceptance of Imolites, as they came out in massive turnouts, during the local government area tour at Mbaise and others which began recently. 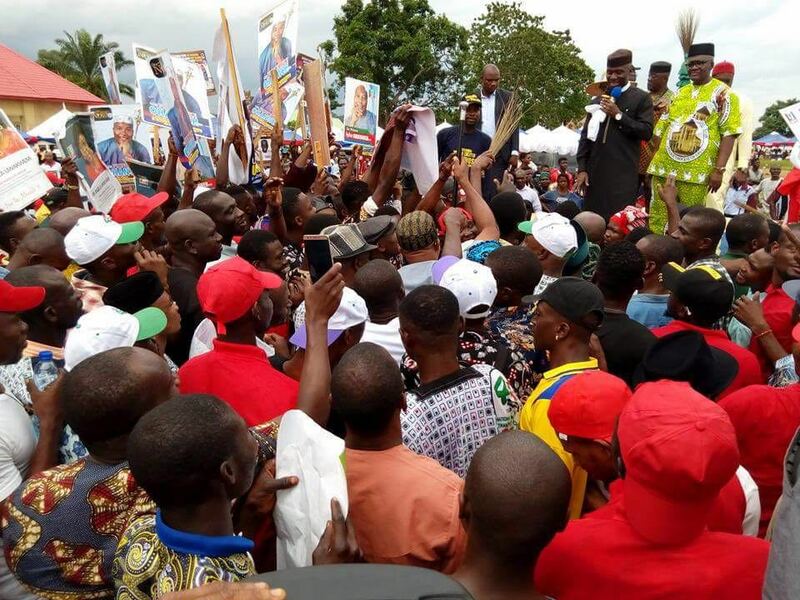 The tour across the local government areas in Imo state by Chief Ugwumba and his team has witnessed great support from youths, as well as other sociocultural and sociopolitical groups in the state especially from Mbaise LGA. The turnout was impressive, remarkable and a positive signal to the campaign success of Nwosu ahead of the 2019 Imo guber polls. However, Imo state has not seen such massive crowd by any gubernatorial aspirant recently, until Uche Nwosu broke history with an unchallengeable support from youths, women, children and adults who chanted their undying approval for his mandate on his arrival to Mbaise communities. 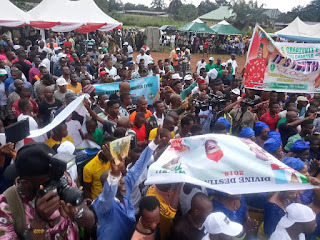 With placards, banners, posters and flyers, the busy crowd was confident that chief Ugwumba will deliver, If elected as Governor of Imo state, in view of a sustainable continuity of Gov. 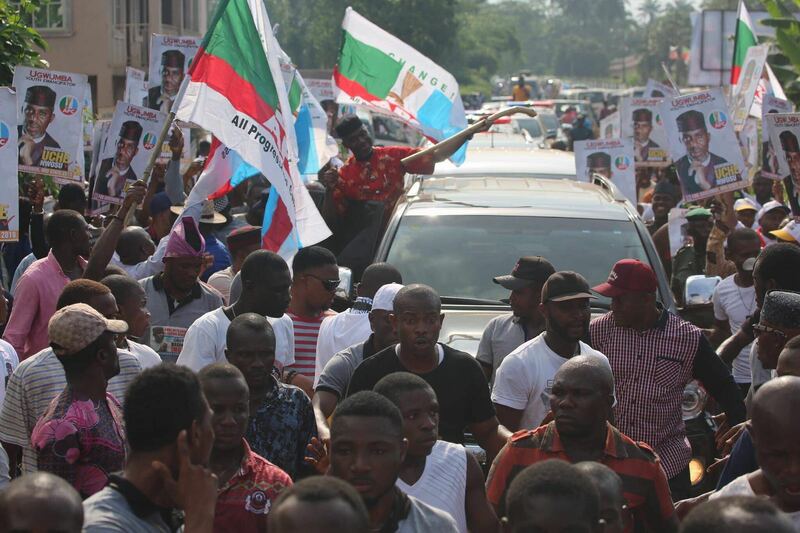 Rochas Okoroacha mandate. 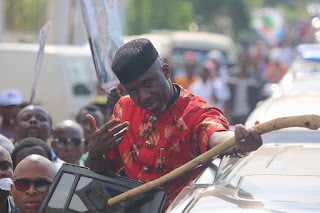 While reacting to the success of the LGA tour, the APC aspirant, Chief Ugwumba, in his usual display of a handy "dora", a significant symbol in his political style, expressed appreciation to the people of Imo state and promised to be committed to a mandate that represents the plights of every Imolites. Sustainably, Nwosu has been recognised and awarded for his commendable efforts in leadership, education, youth empowerment and infrastructural development. His mandate is indeed a sincere development that will sustain good governance in Imo state.